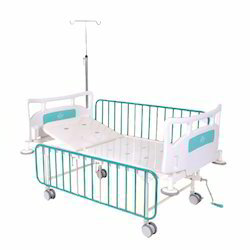 Our range of products include paediatric beds, paediatric icu bed, paediatric bed deluxe and baby crib. We being a quality conscious organization are highly affianced in making available quality array of Paediatric Beds. Offered products are developed by making use of finest quality raw materials. Products are now offering the buyer with premium quality and durable body assembly that can bear loads of patient with ease and offer best safety from breaking. We are renowned in the industry for Paediatric ICU Bed. These products are made using the sophisticated techniques and reliable component which are obtained from industry acknowledged dealers. Due to low maintenance and adjustable, these are very utilized in the hospital. In addition, we present these products at reasonable prices to our customers. Owing to our rich experience of this domain, we provide clients with the premium quality of Paediatric Bed Deluxe. Constructed with the latest machinery, the bed has the perforated flat platform. 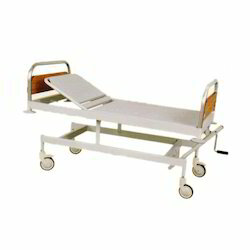 The paediatric bed deluxe is equipped with mild steel head and foot panel. 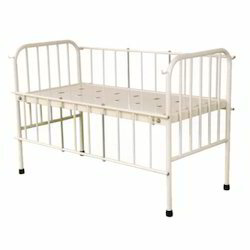 These paediatric bed deluxe is pre treated and is known for its epoxy powder coated finish. 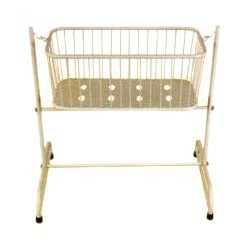 We are now skillful of offering valued clients Baby Crib, which is reliable in nature and completely safe for use. These products are extensively used in hospitals where newborn baby has taken place. These products are designed at our refined unit by use of finest quality of raw material. Entirely safe for use in hospitals for keeping of babies these products are lasting in nature. Crib has the perforated flat platform.